Rediff.com » Business » Which states are famous for these products? Which states are famous for these products? We all know that there is amazing cultural diversity throughout our country. The south, north, east and west have their own unique cultures and almost every state has impressed us with its own cultural niche. This niche is sought of become a trademark for some of the most well known products in the world. Take this quiz to find out which states are well-known for these distinguished products. The correct answer is West Bengal. Bankura horse is produced in Panchmura village in the Bankura district of West Bengal. Over the centuries, terracotta horses and elephants, have moved away from a realistic presentation to a representational presentation. The correct answer is Kashmir. The two special features of these Kashmiri carpets are that they are hand woven and knotted and not machine made and tufted. The design and colour specification used in these carpets is termed as Taleem. Most of the woolen carpets have a base made of warp and weft. 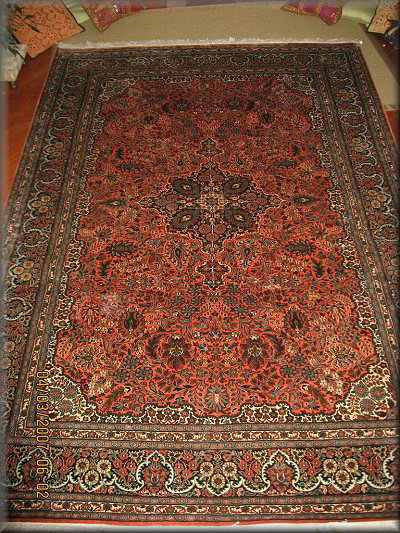 The silk carpets have a base made of cotton. The correct answer is Arunachal Pradesh. The cane and bamboo crafts can be utility objects like hats and baskets, they can also be purely decorative in purpose. 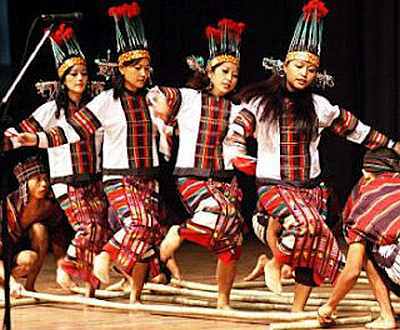 All in all, the bamboo and cane objects can be said to be the highlight of Arunachal Pradesh arts and crafts. Cane and bamboo form the raw material which meet the requirements of everyday life-from house building to making baskets, fishing traps, items of dress, construction of suspension bridges, religious paraphernalia. People of Arunachal Pradesh have fully utilized the raw material offered buy the ecology of the region. Muga silk is the product of the silkworm Antheraea assamensis endemic to Assam. The is known for its glossy fine texture and durability. Due to its low porosity the Muga yarn cannot be bleached or dyed and its natural golden color is retained. The correct answer is Tamil Nadu. Kanchipuram Sari (also known as Kanjivaram Sari) is a type of sari traditionally made by weavers from Kanchipuram, Tamil Nadu. These are woven naturally and are considered to be of the highest quality among saris. The Kanchipuram Sari is distinguished by its wide contrast borders. 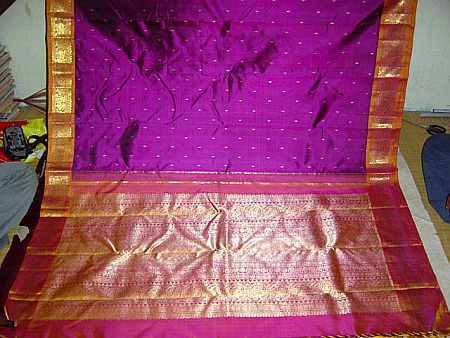 A single Kanchipuram Sari can cost anywhere between Rs 2,500 to Rs 100,000 or more depending upon the intricacy of work, colours, pattern, material used like zari, gold thread, etc. The correct answer is Uttar Pradesh. The patterns and effects created depend on the types of stitches used on a particular garment, henceforth giving it a unique look. Finer the fabric, exclusive is the embroidery. 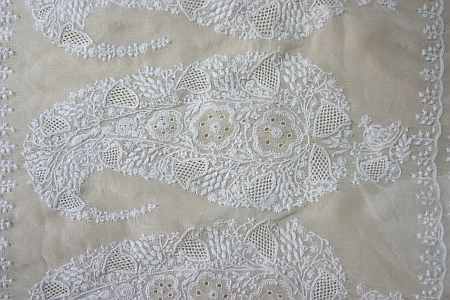 Some varieties of the stitches commonly used are shadow work, funda, Ghas patti, etc. The correct answer is Madhya Pradesh. Folk paintings of Madhya Pradesh, specially the wall paintings of Bundelkhand, Gondwana, Nimar and Malwa are living expressions of people, intrinsically linked with the socio-cultural ambiance of the area. They are not mere decorations but also spontaneous outpourings of religious devotions. The paintings, based on local festivals like Karwa Chauth, Deepawali, Ahoi Ashtami, Nag Panchmi, Sanjhi etc. are usually done by women using simple home made colours. 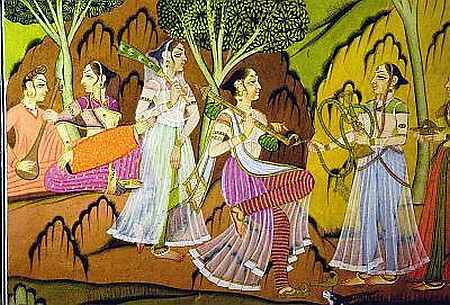 In Bundelkhand, painting is usually done by a caste of professional painters called Chiteras. The correct answer is Bihar. Madhubani paintings or Mithila Paintings is a style of Indian painting, practiced in the Mithila region of Bihar. 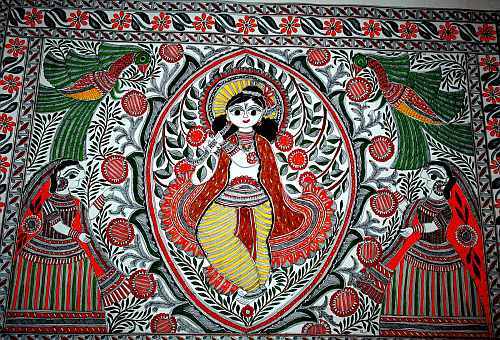 Madhubani paintings has been done by the women of villages around the present town of Madhubani (the literal meaning of which is forests of honey) and other areas of Mithila. The painting was traditionally done on freshly plastered mud wall of huts, but now it is also done on cloth, hand-made paper and canvas.Madhubani art is a form of traditional Indian art form. The correct answer is Nagaland. Nagaland has several small scale cottage and medium scale industries. The art of weaving is primarily the domain of the female folk of Nagaland. It is one of the important industries of Nagaland that has added to the financial strength of the north eastern state. 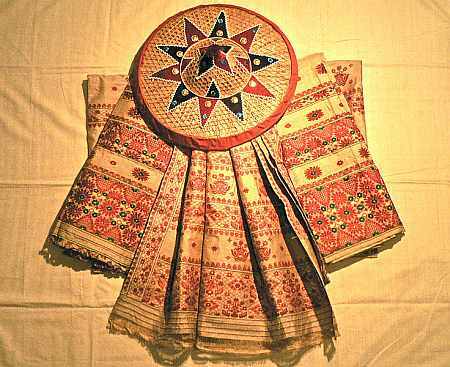 The women of Nagaland design beautiful patterns on pieces of cloth to make them colourful and attractive. 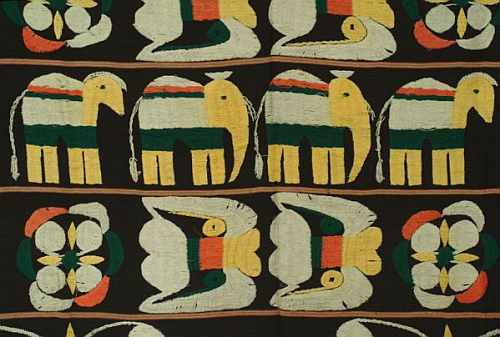 The excellent design patterns on the Angami Naga shawls proves the unique artistic skills. 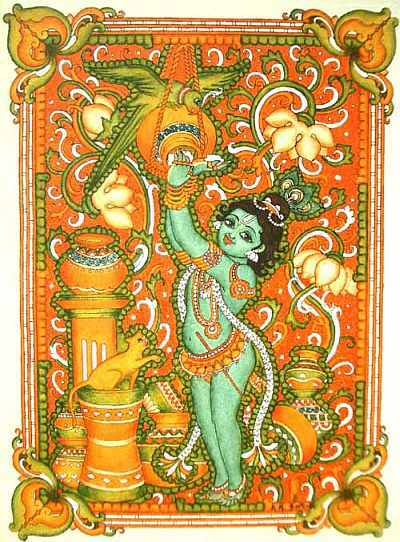 Kerala mural paintings are the frescos depicting mythology and legends, which are drawn on the walls of temples and churches. Ancient temples, churches and palaces in Kerala display an abounding tradition of mural paintings mostly dating back between the 9th to 12th centuries. 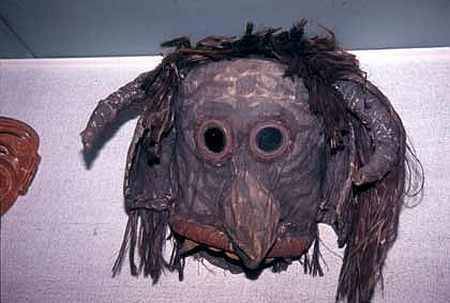 Mud, and clay are used to make the Chhau masks of Purulia, West Bengal.. The masks are painted in pastel shades and have a frank, simple, and bold look. 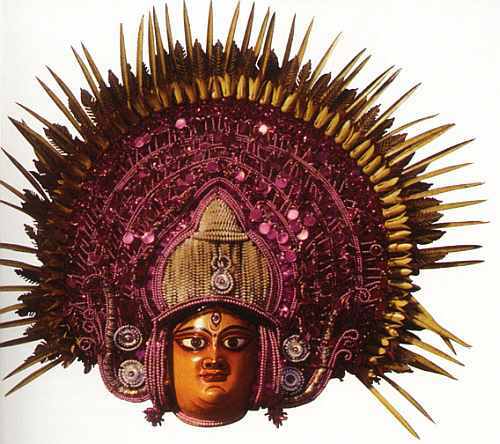 The effectiveness, originality, and beauty of the Chhau dance are dependant on the Chhau masks. Each mask represents a character from the epics, the Puranas, and from mythology. The eye- brows, mouth, and eyes are painted to give those special effects and give completeness to the looks of the Chhau dancers. The correct answer is Mizoram. Mizos are fond of colourful hand woven wrap-around skirt called puan chei, and a matching beautiful top called Kawr chei. Mizo women use hand loom to make clothing and cloth handicrafts.The local products are even fused with other materials to give them a fashionable and stylish designs. The correct answer is Andhra Pradesh. 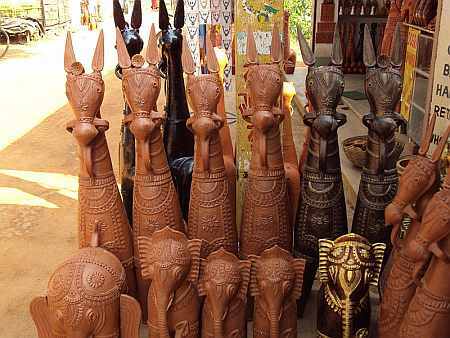 Kondapalli toys are chiseled out of locally available special light softwood ('Tella Poniki') and painted with vegetable dyes, and vibrant enamel colours. The most popular toys are 'Dasavatarams' (ten incarnations of Lord Vishnu) elephant with Ambari, palanquin-bearers carrying the bride and bridegroom, toddy tapper, set of village craftsmen, besides animals. The papier mache swinging doll is a favourite with many. The handloom sarees available in Orissa can be of four major types; these are Ikat, Bandha, Bomkai and Pasapalli. 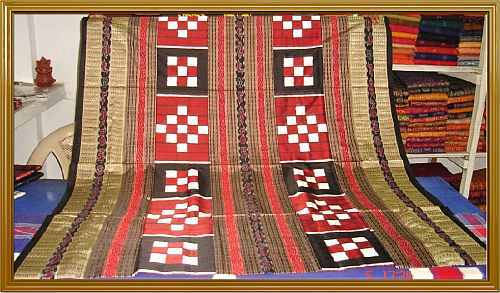 The aanchal of Pasapalli sari has peculiar traditional designs woven in the sari like sankha (conch), chakra (wheel), phulla (flowers), animals, birds and at times temple like imprint. This portrays the artistic level of the weavers and their craftsmanship. The entire weaving method of the Pasapalli sari runs through an intricate procedural technique. The correct answer is Karnataka. 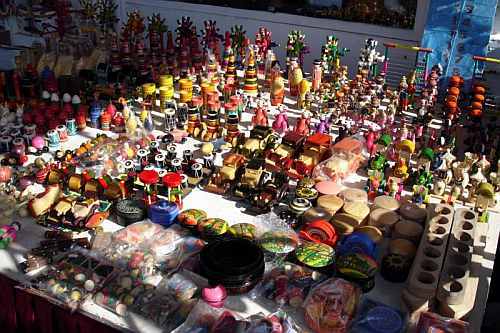 Channapatna toys are a particular form of wooden toys (and dolls) that are manufactured in the town of Channapatna in the Bangalore Rural district of Karnataka. 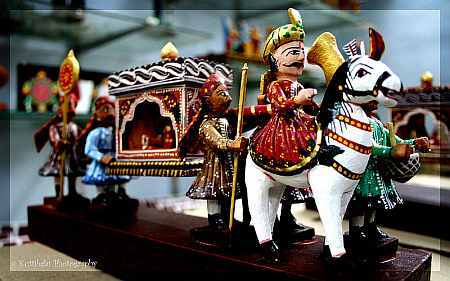 The origin of these toys can be traced to the reign of Tipu Sultan who invited artisans from Persia to train the local artisans in the making of wooden toys.